Entertainment City (also known as Bagong Nayong Pilipino Entertainment City) or previously Manila Bay Tourism City is Asia's Las Vegas-like gaming and entertainment complex that is underway by PAGCOR on 8 km² of land on the reclamation area of Manila Bay, Philippines as envisioned by the Philippine Amusement & Gaming Corporation in 2002. It lies the western side of Roxas Boulevard and south of SM Corporate District (SM Mall of Asia), part of Parañaque City. Investments to the project can reach up to $15 billion, which is scaled down from the more recent $20 billion budget announcement that had been previously announced in 2007. All investments will come from private companies. The project is officially named as the "Bagong Nayong Pilipino-Entertainment City", and has been called several other names by the press. The most common name being referenced is "Entertainment City". The site has been declared a PEZA approved economic zone. 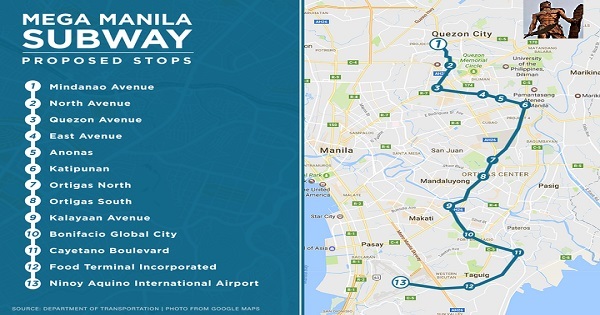 Manila airport is also connected to the Manila Light Rail Transit System (LRT) by a two-kilometer taxi ride to Baclaran station. In the future, with the extension of the existing Yellow Line, a new station, Manila International Airport station, is set to connect the airport, albeit still indirectly, to the LRT. CITY OF SAN FERNANDO - Pampanga Third District Rep. Oscar Rodriguez, who is running for re-election, disclosed on Monday that the Department of Budget and Management has approved funding for the fast railway project that would link Metro Manila with Clark Freeport and points leading to Northern Luzon. Rep. Rodriguez said that the project is included in the 2016 budget. "The plans are now final, and the railway system from Metro Manila to Malolos City in Bulacan will be expanded up to the north after the BCDA [bases Conversion and Development Authority] volunteered to construct the link from Malolos to North Luzon," Rodriguez said. The final decision was reached during a meeting with Budget Secretary Butch Abad, BCDA president Arnel Casanova and other officials, including himself, Rodriguez added. While he did not say how much the railway system would cost, Rodriguez stressed that construction would start early next year. "BCDA president Casanova said, 'we [bCDA] were able to build the SCTEx [subic-Clark-Tarlac Expressway], so why can't we build the northern part of that railway system?,'" Rodriguez reported. Developments like this, he said further, augur well with the advocacy to link Clark International Airport to the Ninoy Aquino International Airport and the move to decongest Metro Manila. "So, inbound passengers can check in at NAIA but depart from Clark. It's going to be fast with the railway. It would also help decongest Metro Manila, which will also reduce the impact of a disaster strike," he said. The lack of infrastructure, including railway system, prompted airline companies to choose Ninoy Aquino International Airport (NAIA)) by default as the airport of choice in the country. A freight and cargo forwarding firm under the Lina Group of Companies of Customs Commissioner Bert Lina will soon operate the first premium airport shuttle bus service, ferrying passengers to and from the Ninoy Aquino International Airport (Naia). According to the Land Transportation Franchising and Regulatory Board (LTFRB), AirFreight 2100 Inc. has been accredited as the first airport bus service provider for two routes: from Naia Terminals 1, 2 and 3 to the Roxas Boulevard area, including the SM Mall of Asia in Pasay and Entertainment City in Parañaque, and from Naia to the Makati Central Business District. “We will instruct AirFreight to submit [the] necessary documents for the issuance of the certificate of public convenience [transport franchise],” LTFRB executive director Roberto Cabrera told reporters on Monday. He said the company must deploy half of the required 44 airport shuttle buses within six months. Compared to regular buses, the airport shuttle service will be more spacious, with seating limited to just 24 passengers and enough room for their luggage. These will also be equipped with Wifi and security cameras. 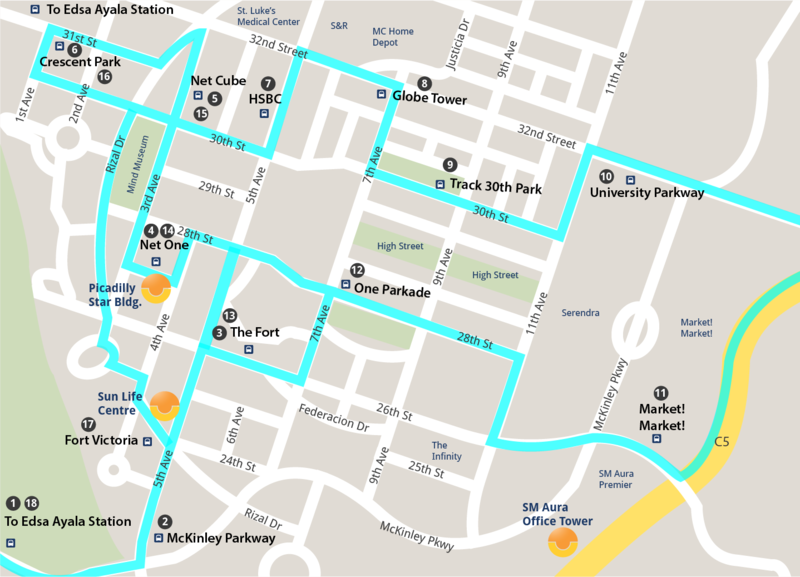 Cabrera said that each route would have no more than five designated off-street drop-off points to ensure speedier travel time for passengers. The buses, however, can pick up passengers only at the airport terminals. Premium buses that will transport passengers to and from the Ninoy Aquino International Airport (NAIA) would be seen on the road by mid next year. Garrie David of Airfreight 2100 (Air21) said the first 21 premium airport buses will start operation by May or June next year. To recall, Air21 bested two other bidders for the government’s accreditation to operate the first premium airport bus service in Metro Manila. Although Air21 won the exclusive accreditation from the Land Transportation Franchising and Regulatory Board (LTFRB) last August, processing of the Certificate of Public Convenience and Necessity (CPCN) is still under way. The LTFRB has given Air21 six months to operate half of the 42-unit fleet it was authorizeed to operate around the NAIA Complex. “While the orders have already been placed, the supplier requires nine to 12 months to deliver the units. These buses are not something you can buy off the shelf because of the specifications set by the government,” David explained. Here's what new Rail lines can do in other cities. In London, there's a new underground rail line that runs through the center, and connects the East and West of London, with various stations in-between. It is pushing Up property values. + 47% increase in Ealing property prices over the past two years, 28% in the last year alone. + 50% increase in house prices predicted over the ext 5 years within a 750m radius of Ealing Broadway Station. + GBP 5.5 Billion added to residential and commercial property values along the Crossrail route by 2021. + GBP 1 Billion in investment has been put into the improvement of Ealing's infrastructure, residential stock and retail space as part of the wider improvements associated with Crossrail. + Can the population afford a modern rail system? + Can the construction and design firms deal with the flooding challenges? + Will "skimmimg" destroy any potential that it would make money and be self-sustaining? As part of Ayala Land’s P50-billion debt securities program, proceeds from the offering will primarily be used to finance the company’s corporate requirements and capital expenditures, including the redevelopment of the site of Intercontinental Hotel in Makati City into a transport hub with retail and office components and other similar projects, The Standard added. Ayala Land Inc (ALI) plans to secure a controlling stake in diversified conglomerate Prime Orion Philippines Inc (POPI) for $121 million (P5.6 billion). ALI earlier informed the stock exchange that it has entered into an agreement with POPI, to subscribe to 2.5 billion common shares of stock in POPI, which translates in to 51.36 per cent stake, for a total consideration of P5.6 billion, subject to certain terms and conditions. POPI has diversified interests in industries such as non-life insurance, real estate and property management, manufacturing, distribution, land title services, including information technology consulting services. 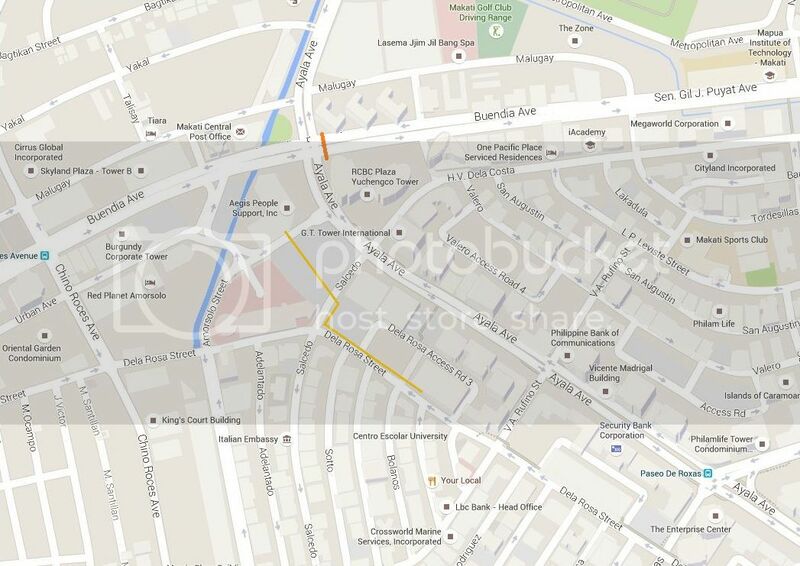 POPI owns the retail complex Tutuban Center in Manila through its wholly owned subsidiary Tutuban Properties Inc. It has a gross leasable area of about 60,000 square meters. It also currently holds interests in other local companies such as Lepanto Ceramics Inc, FLT Prime Insurance Corporation, OMI Land Title Services, Orion Property Development Inc, IT company Orion Solutions Inc, and Orion Maxis Inc (which serves as sales and marketing affiliate for the distribution of Lepanto Tiles by Lepanto Ceramics). “This acquisition is aligned with ALI’s thrust of expanding its leasing business,” said ALI senior vice president chief finance officer and compliance officer Jaime Ysmael. Yuen Po Seng, president and chief executive of Prime Orion, said around 40,000 square meters (sqm) of leasable space will be added to the complex in the next two to three years. “With new development coming in, we will probably be having another 40,000 sqm leasable area in the next two to three years. This short term vision would maybe even double revenues we have in Tutuban itself...Right now, we have about 60,000 sqm leasable space,” Seng told ANC on Friday. Seng said the expansion will allow the company to take advantage of the growing population in the area, which is the site for the proposed common station of the North-South commuter rail and the Light Rail Transit-Line 2 (LRT-2). Tutuban gets about 1 million visitors every month, but the new railway line is expected to bring an additional 400,000 people per day. "The DOTC has made some recent announcements that it is establishing the North-South commuter rail. What's exciting is that it will intersect with LRT-2 on Recto. And they are intersecting right where Tutuban is, so right where we are is going to be a major transfer station, the likes of Hong Kong and Japan where you have massive people criss-crossing. The consultants were saying that there could be as much as 400,000 people on a daily basis," Seng said. With 15 to 20 trains operating they will have 350K daily capacity and 560k crush capacity. and are being tested now. The new administration has pledged to prioritize the bidding for the five airports as these were among the public-private partnership (PPP) projects that were stalled under the previous administration. The airport O & M projects will cover the operation and maintenance of five regional airports in Bohol, Cagayan de Oro, Davao, Bacolod, and Iloilo. The private partners for the airport PPP projects will provide the capital investments required to upgrade the capacities of the airports in terms of passengers and freight. With upgraded regional airports, foreign tourists will no longer have to pass through the overstretched Ninoy Aquino International Airport (NAIA) to visit scenic spots or do business in the South. This will not only ease foot traffic at NAIA and decongest the country’s capital (about 70% of all arrivals still come through Manila), but will also drive growth towards other regional centers. This should provide the impetus for investors to build more hotels and other tourism-related establishments to absorb the influx of both local and foreign tourists. However, this will take years to implement, so tourism growth will be suppressed until these issues are addressed. International tourist arrivals have steadily been growing since 2010 and the Philippines has the potential to become a major tourist destination in the region but the country lacks the necessary infrastructure to compete with other ASEAN destinations and attract more tourists, especially the high-spending ones. The development of the regional airports is a crucial first step in ensuring that the Philippines has adequate infrastructure to absorb the targeted 6.5 million international visitors this year and the projected 12 million foreign arrivals by 2022. The country has been benefiting from cheaper cost of travel around the region coupled by Asians’ rising discretionary incomes. The Philippine tourism sector will also gain from the ASEAN bloc’s air transport deals with Russia, China, Japan, South Korea and the European Union (EU). The hosting of the Miss Universe pageant in January 2017 is likely to raise tourist arrivals and hotel occupancy rates in Metro Manila particularly in the Bay area. The overall increase in tourism and the improvement of international airports outside of Metro Manila will lead to an increase in hotel demand, but not necessarily for Metro Manila hotels. The improvement in airport infrastructure in the regional destinations will remove the necessity for a pitstop in Metro Manila, leading to a decline in occupancy rates in the capital. Furthermore, the current clampdown on spurious spending in mainland China has resulted in a severe decline in revenues for the new casinos built in the Manila Bay Area. These casinos were built on the thesis that the mainland Chinese high rollers will spill over from Macau; unfortunately with the Chinese government strictly monitoring gambling activity, these casinos will have to contend to lower revenues and occupancy rates. More than two-thirds of the additional hotel rooms expected to be completed till end-2018 will come from casino hotel projects which could further depress occupancy rates in Metro Manila. Colliers sees hotel occupancy rates in Metro Manila stabilizing between 60% and 70% over the next twelve months, given the projected completions especially in the Bay area. + Japan approved a US$2.4 Billion loan for a new railway aimed at easing traffic congestion in Manila. MRT-7 is a 24 mile elevated commuter rail that will connect Quezon City, Manila to the nearby Bulacan province. It will be constructed by San Miguel Corp, through a subsidiary, SMC Mass Transit 7, inc.
Traffic congestion is said to have cost the Philippines an estimated $64 million a day in 2015. + A Row over the location of a train station near Quezon City has been resolved. will be between SM North Edsa, and Ayala's Trinoma. An agreement is expected to be signed by the end of the month. The new station will provide a link between the busy MRT line-3, and the LRT-1 line in Quezon City. "they will provide greater liquidity"
Only 4% of Filipinos borrow from banks... BSP wants to boost the access to finance for those who live far from big cities. MANILA, Philippines – The Department of Transportation wants to pursue the subway that would connect business districts in Metro Manila as well as expand the scope of the public-private partnership (PPP) project for the Light Rail Transit Line 2 (LRT-2). Noel Kintanar, Transport undersecretary for rail said the government is looking to implement various railway projects. 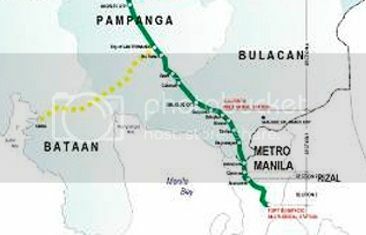 Among the rail projects being eyed is Line 5 or the subway that would connect the business districts in Metro Manila to ease congestion on roads. 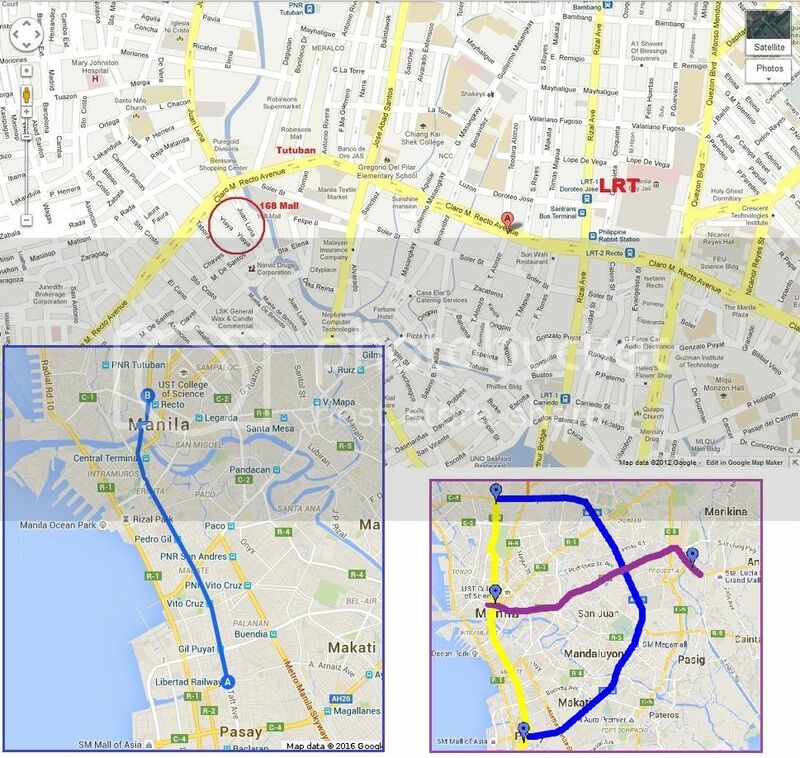 The Japan International Cooperation Agency has conducted a pre-feasibility study on the P374.5 billion Makati-Pasay-Taguig Mass Transit System Loop, which covers an underground railway system as well as elevated rail, to connect as well as address the traffic congestion in the three cities. Also being looked into are LRT Lines 4 and 6 which the previous administration wanted to implement through PPP. 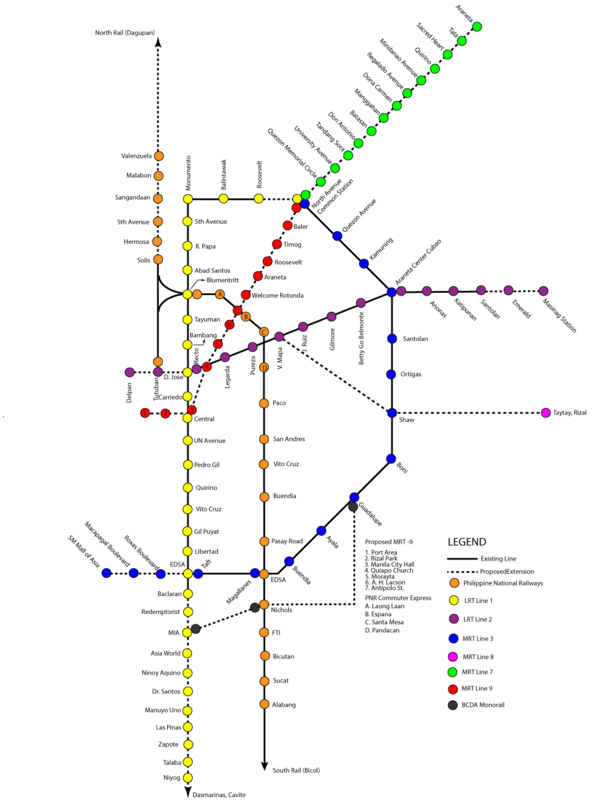 The LRT 4 involves the construction of a proposed 11-kilometer rail line running west from SM City in Taytay to the intersection of Ortigas Avenue and EDSA in Ortigas. MANILA, Philippines – The P374.5-billion ($8.08-billion) project to build a subway connecting the cities of Makati, Pasay, and Taguig is being revived by the transportation department under President Rodrigo Duterte. 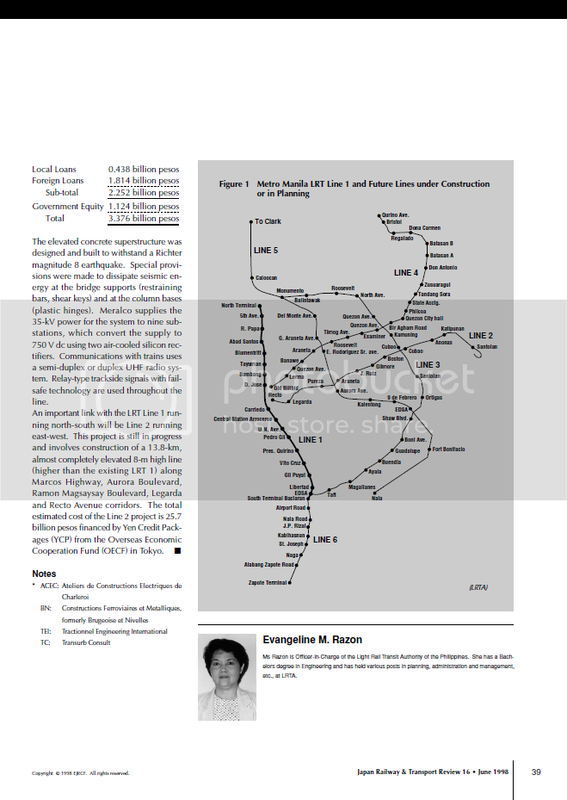 The Mass Transit System Loop or Light Rail Transit Line 5 would have been the most expensive public-private partnership (PPP) deal implemented under former president Benigno Aquino III's administration. But it was removed from the PPP pipeline because of scheduling constraints, with officials saying that talks on the subway's final alignment were "eating up much time." "It is in the pipeline. We are revisiting it. We are 45 days on the job. [Terms of the project] should be better understood so that when we tender it, we do it right," Noel Kintanar, transportation undersecretary for rails and toll roads, told reporters on the sidelines of a transportation forum organized by ANC. "Just because it's off the table doesn't mean it is off the table forever," he added. Under the old plan, the project would be a 20-kilometer (km) system that will consist of a 16-km tunnel, a 4-km elevated railway, and 11 stations. 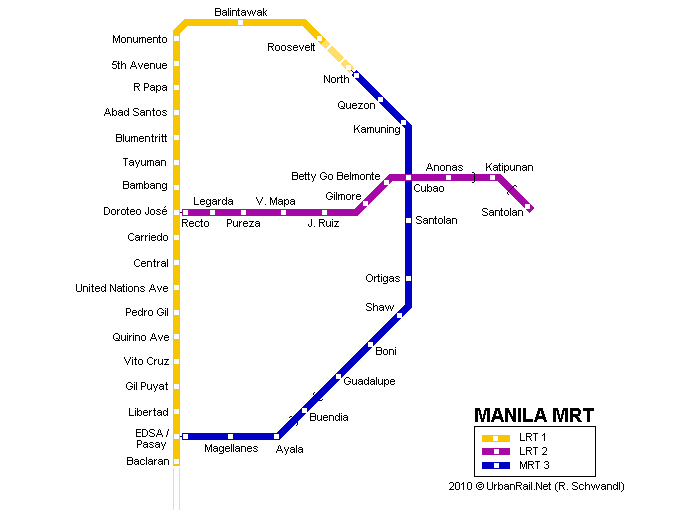 The subway system is seen to link the Makati Central Business District, the Mall of Asia in Pasay City, and Bonifacio Global City (BGC) in Taguig. The country's first subway project forms part of a bigger rail transport plan, which includes 7 other PPP projects. Kintanar told reporters that the LRT1 Cavite Extension*, LRT2 operations and maintenance (O&M), LRT Line 4, LRT Line 6, Metro Rail Transit (MRT) Line 7, as well as the extension of the Philippine National Railways (PNR) to Clark, Pampanga and to Los Baños, Laguna are being continued by his department. The LRT1 Cavite Extension was awarded to Light Rail Manila – a consortium of Ayala Corporation, Metro Pacific Investments Corporation (MPIC), and the Macquarie group – in September 2014. Light Rail Manila's directive: rehabilitate the 20 stations and train cars of the LRT1 in 18 months and start the construction of the P64.9-billion ($1.37-billion) LRT1 extension from Baclaran to Bacoor, Cavite in June. The group's aim is to fully operate the extended line by 2020. "For the operations and maintenance of the LRT 2, we are looking at expanding it to full PPP. Wrap the west extension deal with the O&M, full rehabiltation of LRT2 trains, rehabilitation of elevators and escalators to a whole project," Kintanar explained. 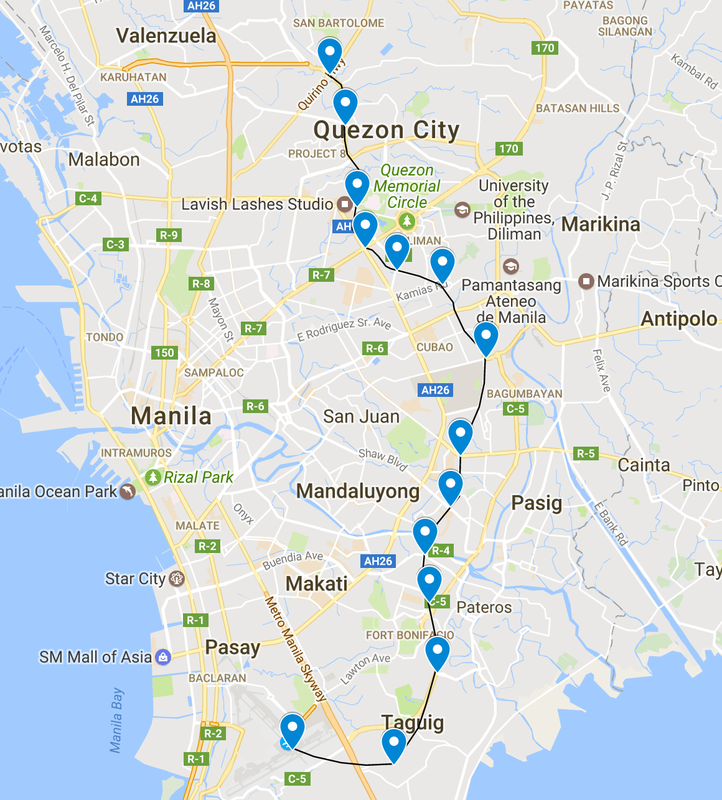 The MRT7 will connect Quezon City to San Jose del Monte, Bulacan. The 11.7-kilometer Cavite extension will link with the existing system immediately south of the Baclaran Station, and run in a generally southerly direction to Niog, Cavite. Eight new stations will be provided with 3 intermodal facilities across Pasay City, Paranaque City, Las Pinas City and Cavite. The new stations are Aseana, MIA, Asia World, Ninoy Aquino, Dr Santos, Las Piñas, Zapote and Niog. The intermodal facilities will be located at Dr Santos, Zapote, and Niog. The commercial speed of the Cavite extension will be 60 kilometers per hour. LRMC said the new stations will be accessible to and from nearby community facilities such as shops, schools, stadium, and park. Bouygues Travaux Publics, which will provide the railway infrastructure, is known globally for complex projects involving tunnels, engineering structures and road, port and rail infrastructure. Among its recent projects are the Hong Kong–Zhuhai–Macao Bridge, the Port of Miami Tunnel, and the Nîmes-Montpellier rail bypass in France. Could it be the first step in extending The Walkway? 2. Between Teleperformance People Support Center and Makati Post Office. Moving towards where Ayala Avenue meets Buendia, there is another gateway to the CBD. Dubbed as the young and creative hub of the city, City Gate is a new mixed-use development envisioned to have a more creative edge. To cater to the younger set that frequents this area, phase one will be 81,000 sq. meters of office GFA, 312-hotel room Seda, and 14,000 sq. meters of retail GFA. But more than these is the Civic Space that will be placed in the area. It will be a 2,600 sq. meter space which will be accomplished vertically through a series of terraces. This will include a direct connection to Makati Commercial Estate Association (MACEA)’s existing elevated walkway along Dela Rosa which will extend to Makati Med. 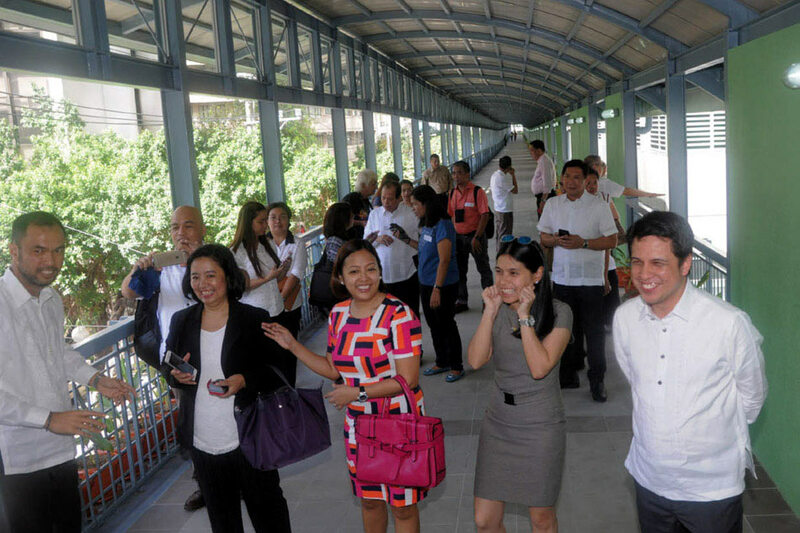 This walkway will traverse all three blocks of City Gate all the way to the other side of Buendia where a pedestrian bridge will cross to the Makati Post Office side. + The MRT system is now running as many as 18 trains simultaneously, at peak hours, thanks to improved maintenance, and four trains are undergoing overhaul - this is up from 16 months, a few weeks after Busan took over. The Philippines plans to award at least $1 billion of contracts to build an airport and a railway to transform a former U.S. military base into a commercial hub as part of President Rodrigo Duterte’s push to distribute wealth outside congested Manila. The Bases Conversion and Development Authority wants these and other major infrastructure projects for the area to be awarded by the second half of 2017 and for most to be completed as early as 2019, its Chief Executive Officer Vince Dizon said in an interview in Makati City. The authority will decide by the first quarter of next year whether to invite bids to build or operate the infrastructure, or do both, he said. Duterte, who won the presidential election six months ago, is lifting infrastructure spending to a record and allocating resources away from the capital, Manila, where traffic and transport logjams cost the economy at least 2.4 billion pesos ($49 million) a day. His government is attempting to fast track development of the planned Clark Green City, which was carved out of the former Clark Air Base used by U.S. forces during World War II. It received just one bid last year to develop part of the proposed alternative capital city. At 9,450 hectares (23,000 acres), Clark Green City would dwarf the main financial district of Makati in metropolitan Manila, home to the nation’s stock exchange and banks’ headquarters. Building infrastructure outside the capital is key to attracting investment and boosting the country’s growth potential to as much as 9 percent, Rosemarie Edillon, deputy director general at the National Economic and Development Authority, said Thursday. Third-quarter economic growth was 7.1 percent, the fastest in Asia. "ongoing projects include sidewalk enhancements for de la Rosa, Valero and their connecting streets, as well as the on grade covered walkway along Valero, V.A.Ruffino and de la Rosa streets." + From there, it would go down Ayala Avenue, and turn left at Gil Puyat Ave. (Buendia), and continue on to end at the Buendia station, also called Taft Ave. on LRT-1, Light Rail line. + It would utilize existing buses, and the space presently given over to the center islands along Ayala Ave.
+ 220 meter elevated bridge stands 17.8 meters above Andrews Ave.
Newport City combines a residential block, hotels - Marriott and Maxims - a themed entertainment and commercial hub, a cyberpark, and an institutional center. + (Unsolicited) suggestions to come from Ayala Infrastructure; focused on "hot spots"
+ MRT3 ridership is up 25% since January, hitting 500,000 passengers in late Nov.
Manila-Clark Rail : Just 1-Hour? 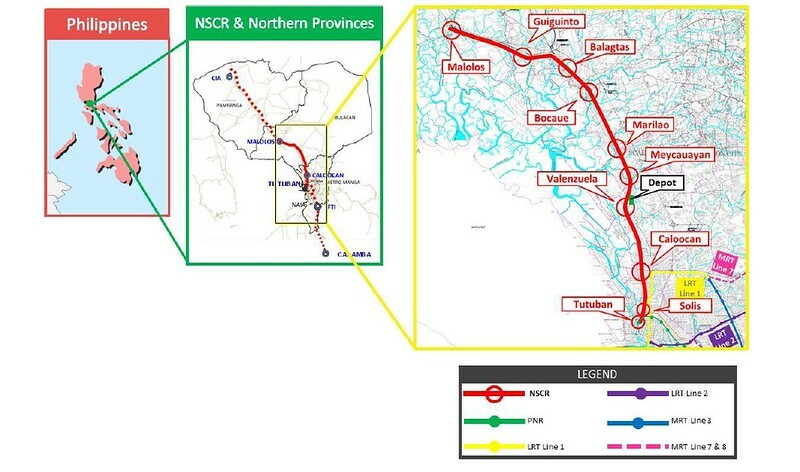 THE Bases Conversion and Development Authority (BCDA) expects to have the Northrail project done before the end of the government’s term in 2022, an official said.Vivencio B. Dizon, president and CEO of state-owned BCDA, told reporters in a briefing that the government is seeking partners to finish the long delayed project which would connect Metro Manila with Central Luzon. He said that Japan, Germany, and Russia have expressed interest in the project, but companies belonging to the Japan Overseas Infrastructure Investment Corp. for Transport & Urban Development (JOIN) have submitted a proposal to do the feasibility study for the project. “Our plan is to finish the railway… all the way to Clark by 2022,” he said yesterday. “For now, our Japanese partners have submitted a proposal for them to do the feasibility study for the Malolos to Clark segment,” he said. 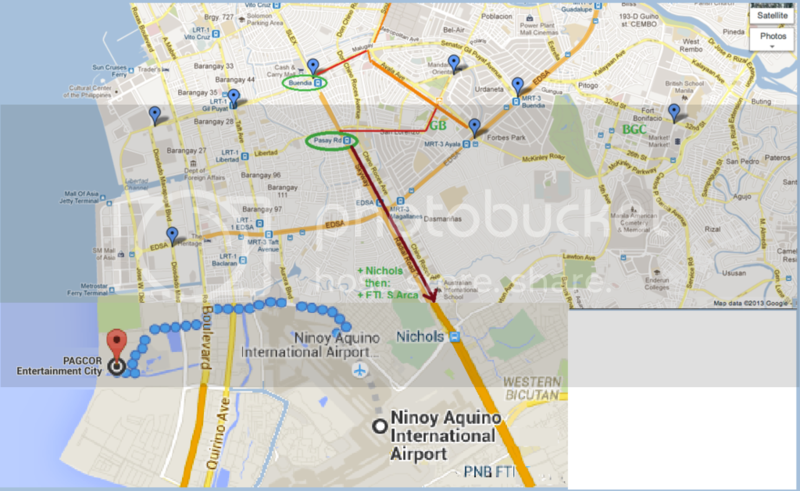 The planned 80-kilometer project would connect Tutuban to Malolos, then leading up eventually to Clark. Japan International Cooperation Agency has provided a grant for the construction of the segment connecting Tutuban to Malolos. Mr. Dizon said that the segment connecting Tutuban to Malolos is in the “detailed engineering design phase,” which is expected to work out the specifics of the project by the second quarter of next year. This will be followed by a bidding process. BCDA used to be the lead implementing agency of the project. To do so, it created a subsidiary named North Luzon Railways Corp. However, the Department of Transportation is now in charged with implementing both segments of the project, Mr. Dizon said. “The interest of BCDA is in the Malolos to Clark segment because Clark is BCDA property. There is still no detailed design there,” he said, while adding that BCDA will support the transportation department for implementation of the Northrail. The BCDA head also said that the agency is now considering the possibility of dissolving Northrail. Will these Big Rail projects ever get completed? The reports said they will aim to complete them before the end of Duterte's term in 2022.